William Thomson (1802-1852) was Regius Professor of Practice of Medicine at the University from 1841 until his death in 1852. He was a Clerk to the Faculty and a member of the committee that selected records for inclusion in the Munimenta Universitatis Glasguensis (1854). 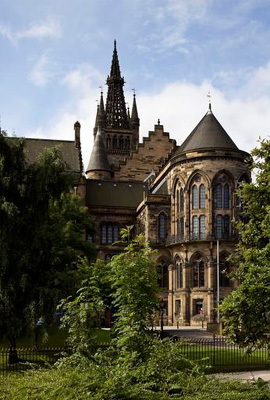 Born in Edinburgh, the son of the surgeon John Thomson, William studied Medicine at the University of Edinburgh, at the extramural school in the city and in Glasgow at the University (1821 to 1822). He pursued his studies in Pathology and Surgery in France from 1822 to 1824, and returned to Edinburgh to become a surgeon at the New Town Dispensary. Thomson was awarded an MD by Marischall College, Aberdeen, in 1831. He worked as a lecturer with his father, the Professor of Surgery at the University of Edinburgh, from 1828 until his appointment to the Chair at Glasgow in 1841. Thomson was a physician at the Royal Infirmary from 1843 to 1846 and from 1848 to 1851. He was also a director of the Glasgow Royal Lunatic Asylum, where he served briefly as Physician-Superintendent during a cholera outbreak in 1848 to 1849. Born 3 July 1802, Edinburgh, Scotland.